It’s undeniable that anime as an entertainment medium has a fair number of series that are considered classics. Among these, Cowboy Bebop is a name you hear relatively often. First released in 1998, only its first half was aired initially due to its “adult themes” and today it invokes nostalgia in many viewers. Certainly, compared to other shows of its time it has aged fantastically due to strong characterisation, a tone that stands out from the masses even today and animation that screams “vintage” rather than simply “old”. Now, after having watched Cowboy Bebop myself, I can see why it was so prominent back in its day while still feeling that it doesn’t have the spark needed to be considered truly ageless. Spike is a bounty hunter, plain and simple. Nowadays they’re also known as cowboys. Along with his partner, Jet, he scours space and the planets it contains for marks, hoping to scrounge up enough cash to pay for his next meal. Just like everyone else in his line of work, however, just like Jet, he has a past that still haunts him. During the two’s ventures, they encounter a massive range of personalities from the criminally cruel to the childishly bewildering, and everything in between. 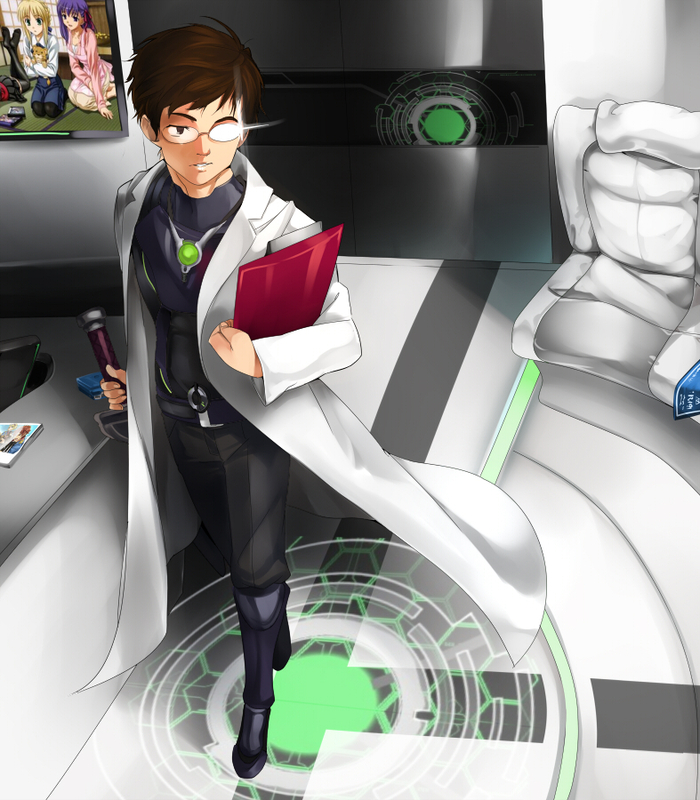 Before they realise it, their crew has started to grow, first with a strangely intelligent dog, then a tomboy gambler and the weirdest child-hacker anyone has ever imagined. Naturally, they also have significant pasts behind who they are today, and if they’re not careful those memories are going to catch up to them. Cowboy Bebop is really tough to summarise; I almost guarantee that I haven’t given you the right idea with my synopsis. For one, the series lacks the purpose that I’ve implied. It’s an episodic that moves loosely from one story to the next with only minimal connection to what has gone before. It’s entertaining and it’s easy to get caught up in because many of the concepts covered are novel in anime despite having been conceived seventeen years ago. Unfortunately, this same format that fits Cowboy Bebop so well also holds it back. Without any overarching story to hold things together it begins to get old relatively quickly; there wasn’t one night when I was planning to continue watching that I can say I was really looking forward to the experience. Doubly unfortunate is the fact that the show’s writers did attempt to include a semblance of a plot. While some of the characters star in one particular episode that serves to fill in the gaps in the audience’s knowledge of their past, which works well, Spike himself receives a number of episodes that just aren’t coherent enough to contribute positively to the series as a whole. They’re tacked onto the end of each season as if the studio suddenly realised they had forgotten some loose ends, which doesn’t help. 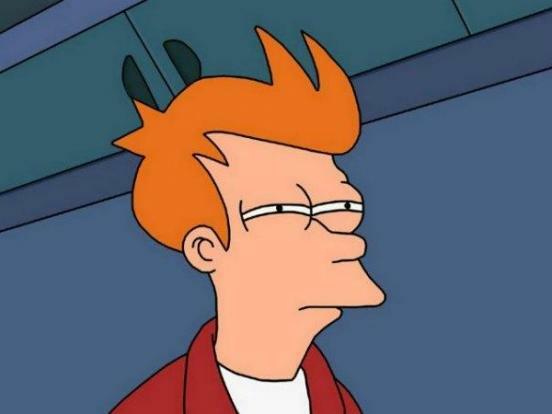 There’s some sort of underground organisation that supposedly has its fingers in pies all over the place, a love interest the audience isn’t connected to (because she’s only really in one episode) and a “villain” that doesn’t seem at all threatening. It seems half-hearted to be honest, despite the atmosphere it attempts to create, and puts a damper on any hope for a potentially enjoyable ending for the series. 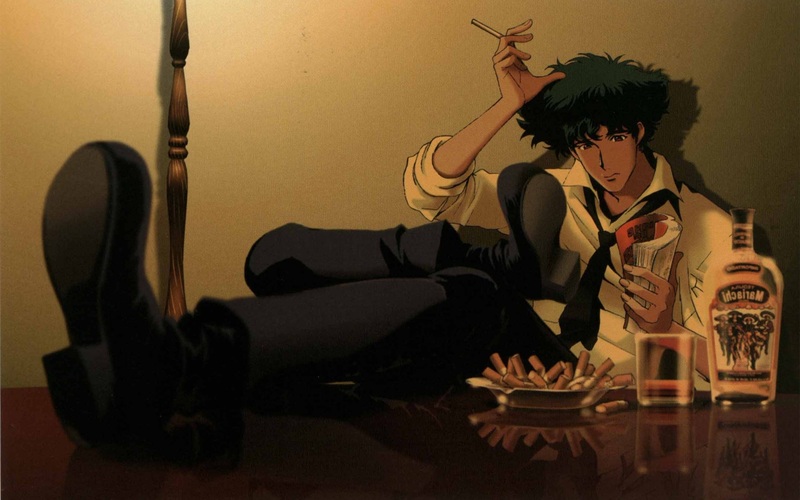 What Cowboy Bebop does really well, in comparison, is its characterisation. They’re deeper than your average fare and consistent to boot, as well as being fun to watch. For all of that, however, they’re not particularly memorable and I put part of that down to the lack of overarching story and part down to the fact that they develop independently of each other rather than via interaction. In the episodes that are important for characterisation, the individual of the hour tends to go off and do their own thing with minimal contact with the rest of the crew. While it reflects their tenuous links to each other well and makes sense, it also renders it harder to make the group as a whole stand out. 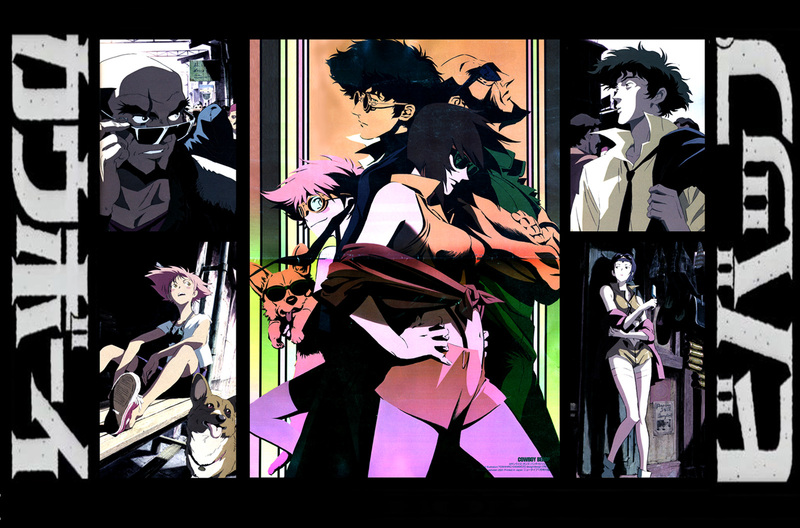 For a show released in 1998, Cowboy Bebop looks pretty good. Character designs are realistic, which I believe has aided in their ability to stand the test of time, and animation is actually relatively fluid. That fluidity is important because the series has a large number of action scenes. Interestingly enough, the voice acting is as good as I expect from more modern productions, so that’s an aspect that hasn’t changed so much over time. BGM-wise, I felt that most of the tracks fit the show well without being memorable in and of themselves. 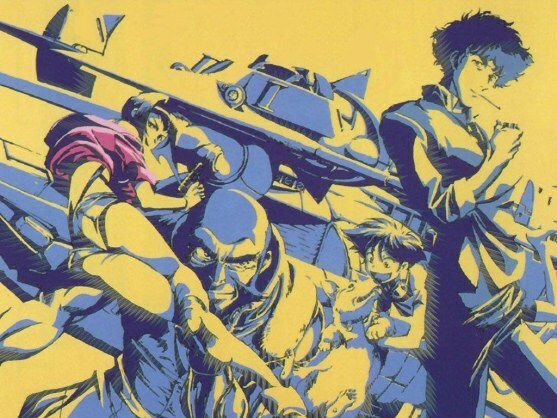 Summary – When Cowboy Bebop first aired it would have made major waves, so I have no trouble understanding why viewers still look back on it fondly. The animation and characters have stood the test of time excellently and just about every other aspect of the show could stand up to newer counterparts without shame. Unfortunately, the series as a whole lacks the cohesion granted by overarching plotlines that is needed to really shine and make itself memorable in the current day, and its meagre attempts at cultivating that are more detrimental than enjoyable. 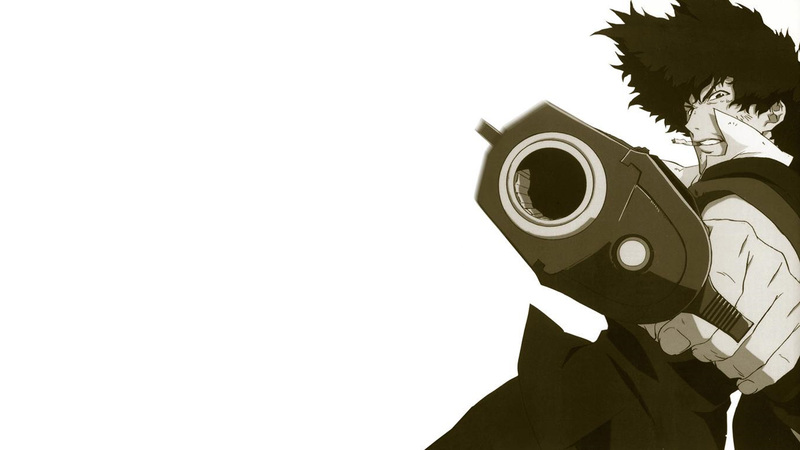 Still, if you like more gritty and relatively serious anime then Cowboy Bebop is well worth a try. After all, it’s a classic for a reason. This entry was posted in Anime Reviews, Reviews and tagged Anime, classic, cowboy bebop, Review, sunrise. Bookmark the permalink. Of that list, I need to re-evaluate Baka to Test and maybe Date A Live. When it comes down to it, those are all series which made me look forward to what was going to happen in the next episode. I was keen to start watching them again each night. 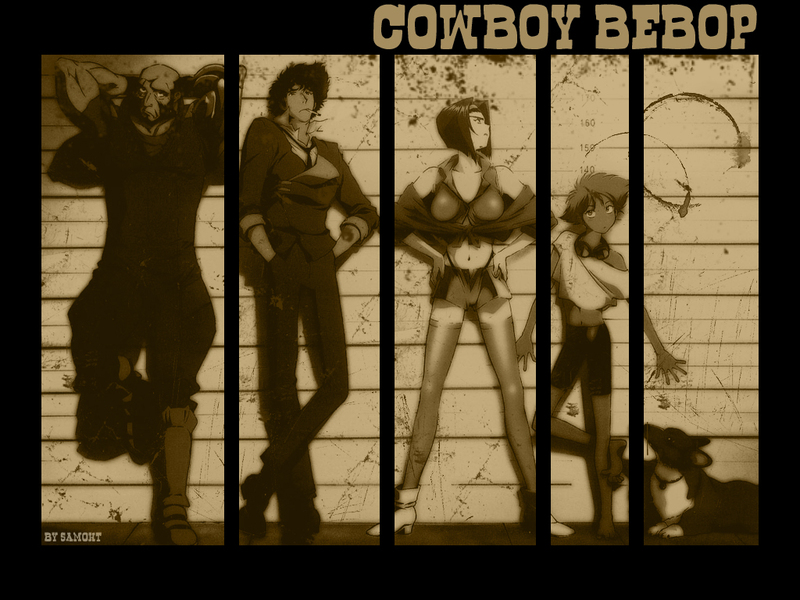 Cowboy Bebop…not so much. Between 7/10 and 9/10, personal taste plays a big role.